Was wondering if anyone has ever infused Mega Dose Vitamin C IV (our family member needs 30 grams Vitamin C IV daily). We have found very limited information about this therapy. If anyone knows where we can buy everything we need…all information will be appreciated. I don' t think you can buy all of the products and supplies you need. Any IV infusion requires the services of a pharmacy that prepares IV solutions and your local pharmacy may not be one of those. You also need the skill and knowledge of an infusion nurse to insert the IV catheter and deliver the infusion. Legal requirements include a written prescription from your medical provider or doctor who would refer you to either an ambulatory infusion clinic or to a home care company to provide this infusion. To reduce the risk of serious complications from the IV route, all of these professional services are needed. Many Naturpathic physicians use megadose vitamin C for their cancer patients. I give this regularly at a naturpathic clinic. It has to be given in sterile water so must be mixed carefully with osmolity calculated. They do this calculation regularly so are quite good at it. Thank you for your answers. Finally, we found the necessary informations on another cancer forum. Forum users have advised us where to buy from a legit source of Vitamin C IV. Our family member started this therapy and already feels much better. There are some natural nutrients that produce Vitamin C in your body. So you don't need to get this therapy daily. Yes, as a cancer treatment, it has given with some other nutrients will a calculative measurement. But before doing that, consult your doctor first. 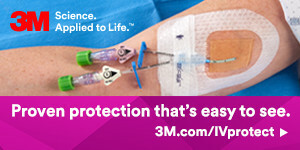 Also, you can read some blog about IV Therapy online. It will help you to understand better. Thanks! Good health and good sense, two of life's greatest blessings. Scheme of Vitamin C Intravenous Therapy found on a blog especially for alternative therapies. Week 6: 1 x 100 g (10 iv bottles) infusion per day, 3 times per week. Treatment will be continued with maximum dose 100 grams (10 iv bottles) for each session at least one month.